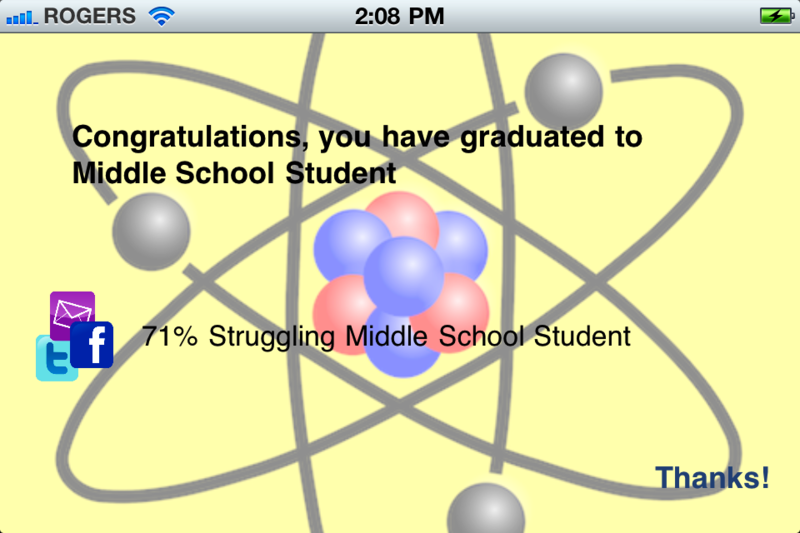 PERIODIC TABLE is a fun educational game, part of the Careful You Might Learn Something series. 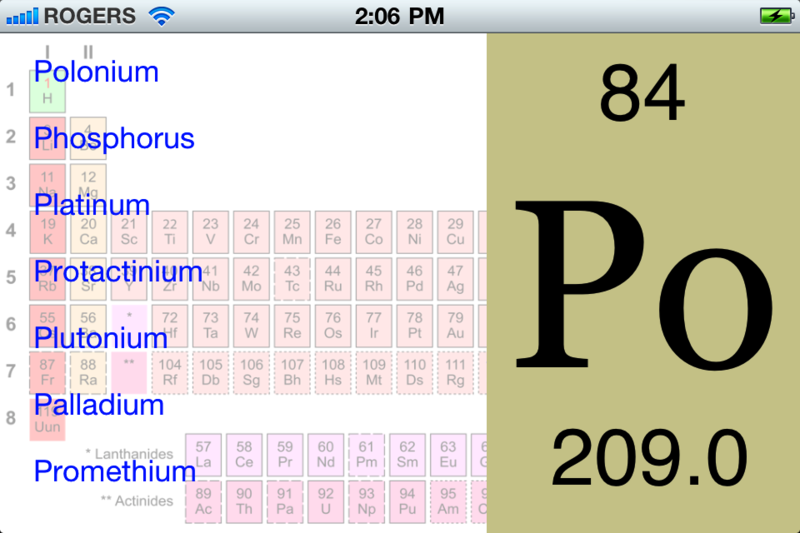 More than mere flash cards, this multiple choice game helps you learn to identify the elements on the periodic table. At first you might find it challenging, but the more you play, the more you learn! As your scores improve so will your knowledge. 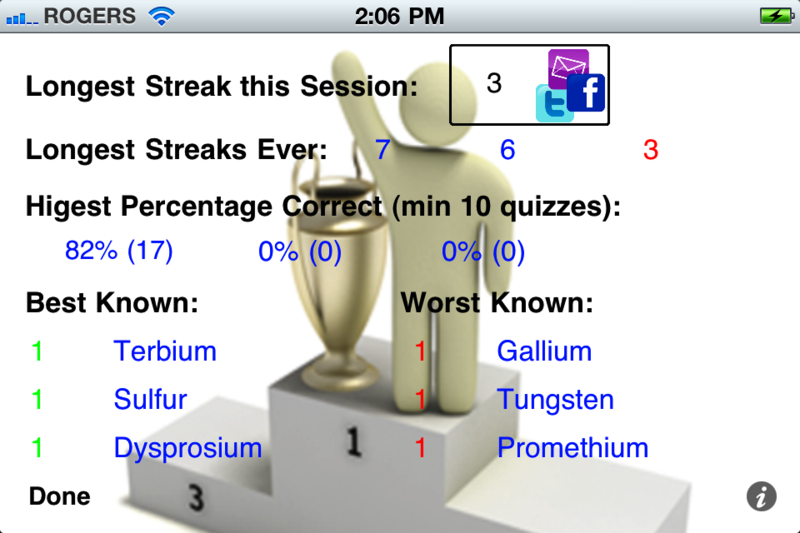 Challenge your friends and colleagues on Facebook & Twitter to beat your score. It’s fun and maybe a bit addictive, we must confess. So don’t blame us if you learn something; you were warned! 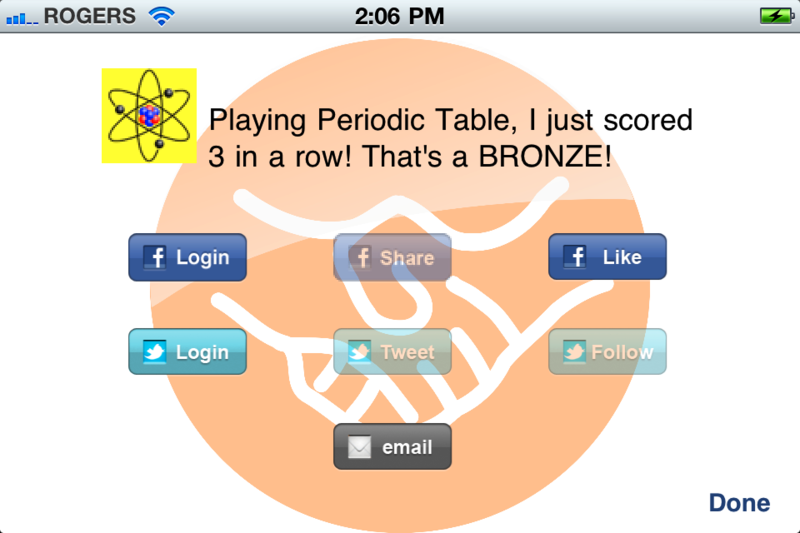 Added score sharing for Twitter and email. 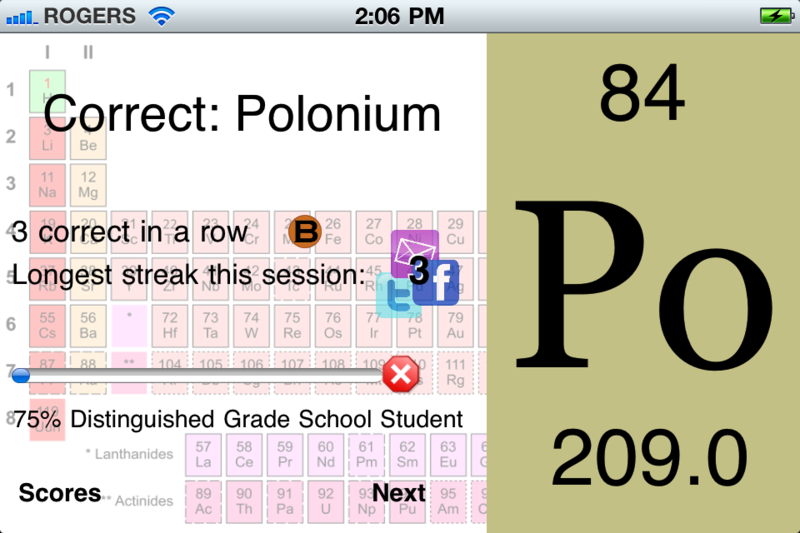 Added progress bar and achievement titles.